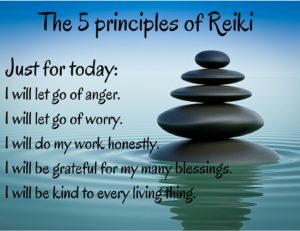 Reiki (pronounced ray-key) is a Japanese technique for stress reduction and relaxation. We exist because energy flows through us. Our energy nourishes the organs and cells of our bodies, supporting their vital functions. Reiki is powerful and gentle, it will never cause harm. Reiki is a spiritual process that provides love and compassion, it is not a Religion. Reiki balances the flow of energy, and promotes healing. It works to sooth the sympathetic nervous system, and creates peace and calmness from within that boosts the immune system and promotes healing. Reiki is a beautiful experience. The client should wear comfortable clothing. During a private session at Inspired By Life clients lay on a massage table. If attending a Reiki circle at Inspired By Life everyone lays on the floor, yoga mats are provided. We also provide blankets for warmth. The client is welcome to bring anything that brings them comfort. The Reiki practitioner simply lays hands on the client. Gently & peacefully using the Reiki energy the practitioner balances the client’s energy. What are the benefits to Reiki? The client may experience the feelings of ultimate peace, emotional safety, relaxation, joy, love, well-being, security, unlimited potential, freedom, creativity, beauty, balance, harmony, and other positive states. The physical benefits of Reiki are endless. Today many hospitals and nursing homes are using Reiki to help their patients. Cancer patients are given Reiki as a compliment to their treatments. Nurses are using Reiki to help their patients after sickness and/or surgery. It promotes healing in every cell, therefore benefiting the entire body.